To my baby boy, you were amazing I love you so much and wish you were still here with me. even though we were only together a short time because you passed so young, we made so many good memories together. You had the most amazing ears they were so big and soft and one of my favorite things, I miss kissing that little spot between your eyes and laying by you during the hard times. Tasha. 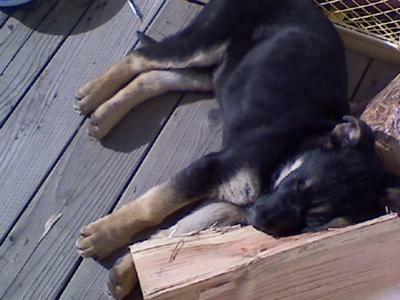 Thank you so much for sharing your story about your German Shepherd puppy , Blitz, with us. I am so very sorry for your loss - it is a shame you didn’t get the chance to have more time together. 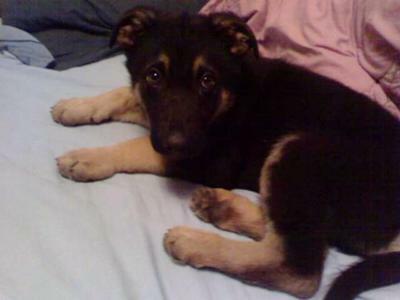 What a wonderul GSD puppy your Blitz was. It is so very hard to lose a favorite pet but your memories will help you through it all and your memories will stay with you forever. And to our readers, thanks so much for reading this story and please come back often to see what else is going on in our growing German Shepherd community. Let us know what you think about the above story by leaving some comments below. It's easy enough to do - just click on the link that says "Click here to post comments" . I am so sorry for your loss. Blitz may be gone but he will always be in your heart. 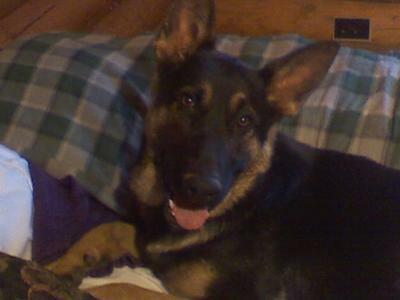 He looked so much like my 12 months old GSD Rambo. RIP, Blitz!